The following is a guest post about 7 innovative companies worth investing in. If interested in submitting a guest post please read my guest post policy and then contact me. Are you thinking about investing but not sure where to start? Consider these seven innovative companies worth investing in. This microprocessing company designs most of the world’s smartphone and tablet microprocessors, selling its designs to companies like Apple and Samsung to power 90 percent of smartphones and 28 percent of electronic devices. By 2015, it will likely run a quarter of notebook PC microprocessors, too. According to Forbes.com, Arm Holdings is the number one innovative company in Europe. It holds a world rank of 10, has an innovative premium of 45.4 percent, and features a 16.9 percent sales growth with 27.3 percent in returns. Reckitt Benckiser is a major manufacturer of health, hygiene, and home products, owning brands like Clearasil, Lysol, and Durex condoms among others. According to Forbes.com, it sold more than 20 million units in 2010, and in 2012, it planned to spend £100 million on brand building. Clearly Reckitt Benckiser isn’t going anywhere soon, and with a sales growth of 5.4 percent, you can expect great things from the company in the future, making it well worth the investment. Known for “fashioning a tech revolution in traditional British retailing” as Fastcompany.com puts it, Burberry is a fashion company that has adopted digital media trends to make it one of the most innovative companies in the U.K. The company feature annual sales over £3 billion, and the way they leveraged online sales and digital investments sent their 2013 sales up by 14 percent. Diageo is a U.K. based company founded in 1997. As the world’s major producer of beer and wine, it’s worth looking into. Its brands include those some of the most popular options such as Smirnoff, Captain Morgan, and Guinness, among many others. It also calls innovation one of its key ingredients to its company, saying on its website that “innovation forms a crucial part of Diageo’s growth strategy, playing a key role in ensuring that our brands are well positioned for continued growth.” The company has seen impressive sales over the last few years and expects a bright future, making it a great company to invest in. Learn more about the pros and cons about buying Diageo stock. While Marks & Spencer is popular for its clothing and luxury food products, its dedication to sustainability shows promise for the future. With its systematic approach, CO2 emissions from the company have decreased by 23 percent since 2007, and it’s contributed no waste to landfills. This dedication alone can have a huge impact on its reputation to up its sales. The $15 billion retailer has web and mobile sales up 17 percent. With increasing sales and an innovative approach to sustainability, this company is an ideal British-based investment option. Forbes.com lists the US-based software company Salesforce.com the number one most innovative company in the world. According to Forbes, it features a 32.1 percent sales growth, 21.6 percent in five-year annual returns, and 72.8 percent innovative premium. It’s market cap is valued at $25.85 billion. The company provides enterprise cloud computing and social enterprise solutions, and with this fast-growing market — by the end of 2015, spending on cloud computing services could total $180 billion — it makes sense that you’d want to jump on a popular cloud service provider now. With medicine advancing quickly, there clearly needs to be an innovative medical company on the list. Smith & Nephew creates medical devices in markets for orthopaedic reconstruction and trauma, endoscopy, and advanced wound management. With £4.22 billion in revenue and £744.2 million in profits, it’s one of the most innovative companies in the U.K. Learn more about the company and whether or not to invest. 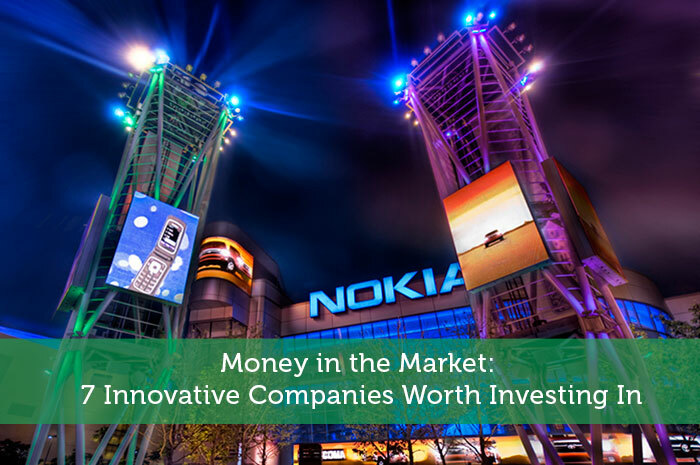 With each company on the list offering an innovative strategy to push their company above and beyond the competition, you’ll want to consider putting your money into one of these mentioned companies. A lot of UK companies listed there. I wonder if they are also on the US Stock exchanges. I assume so. Is this UK based business? I really don’t know these companies.